A stronger yen docked some $390 mln from Honda’s revenue last quarter, adding to other blows. It’s been tough to juggle a safe-haven domestic currency and growth that comes largely from overseas. Rival Mitsubishi’s stellar results, built on emerging markets, show it can be done. A show attendee looks over a 2018 Honda Clarity plug-in hybrid at the North American International Auto Show in Detroit, Michigan, U.S., January 15, 2019. On Feb. 1, Honda Motor reported operating profit fell 40.2 percent in the quarter ended Dec. 31. The company attributed the performance, which missed market expectations, to discounts, quality-control costs, and currency moves. 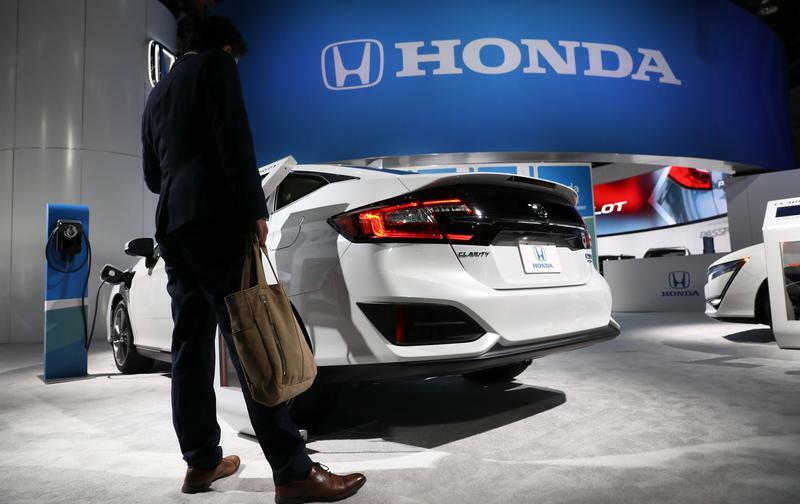 Honda stuck with its previous forecast for a 5.2 percent decline in operating profit for the fiscal year ending March 31, assuming an average exchange rate of 111 yen per dollar over that period. The yen has firmed by nearly 5 percent from a weak point in early October, to trade around 109 per dollar. Mitsubishi Motors reported a 38 percent jump in operating profit, posting 28 billion yen for the three months ending Dec. 31, beating the forecasts of analysts polled by Refinitiv.